This is the part where I get sad about the inevitable end of summer. Granted, my back-to-school days are long gone, and it’ll be another four months before I’ll have to so much as think about a sweater. The part I’m not ready to let go of is the bright colorful food. My eyes are not ready to adjust to the shade of pumpkin (as much as I love it)… just yet. Lately, I’ve been consuming these gorgeous Whole Foods heirloom tomatoes by the basket-full. They work well in this particular salad because each type is a little bit different. Some are more tart, some are more sweet… To bring out each flavor, I marinated them in my condiment of the moment – sherry vinegar. You could use balsamic, but I found the sherry vinegar not only keeps the colors vibrant, but it’s less-assertive flavor highlights the subtle nuances of each tomato. You could make this a simple appetizer salad by adding just the avocado and some basil. 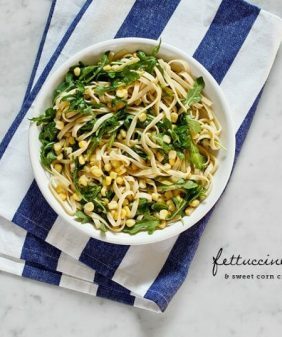 To make it a meal, I added chickpeas, orzo, arugula, and pine nuts. What a perfect, perfect salad. This! This is what I need to do with my increasingly large tomato harvest. 🙂 Such a perfect & delicious lunch salad. I know exactly what I mean. Just this morning I was thinking how much I’m going to miss all of the fresh berries and vegetables once the growing season is over. 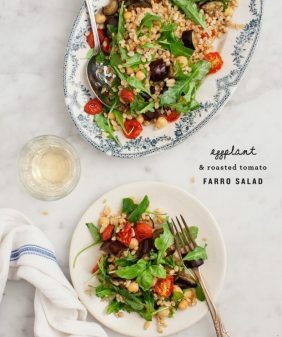 This salad is such a beautiful way to highlight tomatoes! I’ve actually never tried heirloom tomatoes – gasp! I didn’t used to be a fan of tomatoes, but I’ve been loving lately. Funny how tastes change. Anyway, this recipe looks like a great way to try the heirlooms. So much colour in this salad! Lovely! I love the simplicity of this salad. Heirloom tomatoes remind me of strolling through a farmer’s market on a fall day and this recipe just transported me there. Yum, this looks so so amazing. 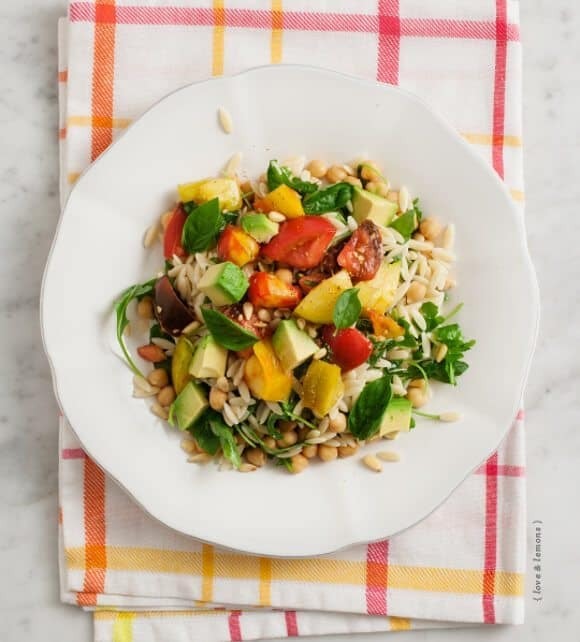 I shared a similar salad a couple weeks ago but I love the addition of orzo to yours. Of course, your photos look delectable, too! I love simple meals like this one. And tomatoes – always good and tasty. 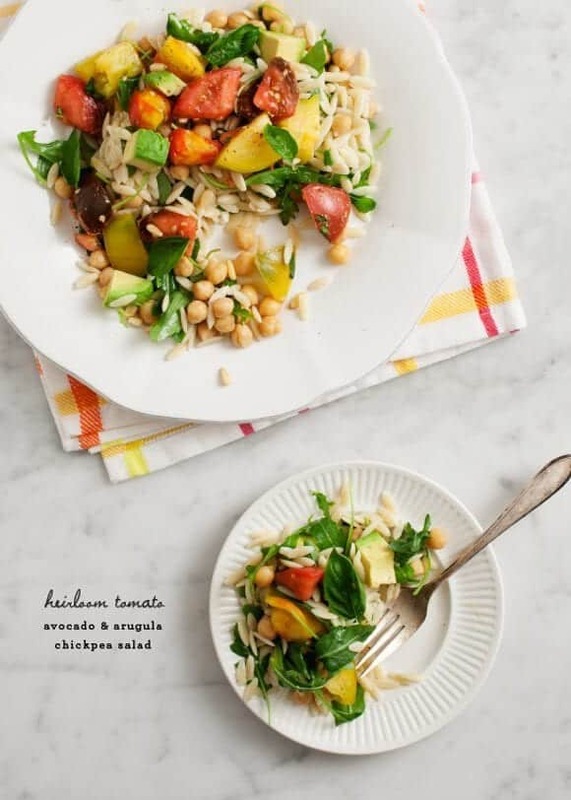 Heirlooms and avocados… two of my favorite ingredients! Would love this! Gorgeous! Love the addition of pine nuts. I too am so sad to see the summer produce go. It truly is some of the best food!! I love this bright and beautiful salad. Heirlooms are amazing! 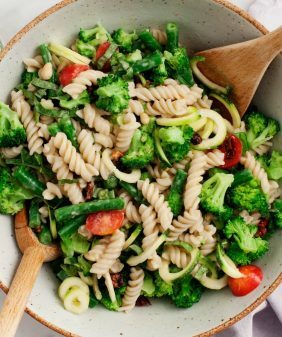 This looks gorgeous, I adore orzo, it is the perfect pasta shape for pasta salad. I know you’re sad to see the summer produce go, but I’m the in the southern hemisphere, and I can’t wait for it! I would also love to know which camera you use? I couldn’t find a FAQ section so I hope you don’t get this question too often! thanks Athena, & welcome! :). We use a Canon 5D. When I saw this post at the end of the workday yesterday, I knew I had to make it for dinner. I went straight to the store, straight home, and made it. I LOVED IT! It was perfect. Unfortunately I had no one to share it with, but that just means MORE FOR ME! Your recipes just fit in so perfectly with my life, it is uncanny. I’m in love with heirloom tomatoes. They are so meaty and delicious. This salad looks perfect for end of summer. I, too, dread the inevitable end of summer…fretting that I haven’t done enough summery things, eaten enough summery food…Tomatoes are a wonderful last call. Any salad with fresh tomatos and avocado is a winner in my book 😉 Great recipe dear! Yummmmmm. I’ve been eating heirloom tomato sandwiches for breakfast almost every day for the last two weeks. Best way to start a morning! This salad looks delicious. I can picture coming back from a nice evening stroll for this fabulous dinner salad. Gorgeous and delicious. I tried to grow some heirloom tomatoes this year but they failed big time. Maybe next year? My eyes really are ready to adjust to any and all shades of pumpkin! But, in the meantime, this pretty little salad makes a bit more summer a pretty good consolation. 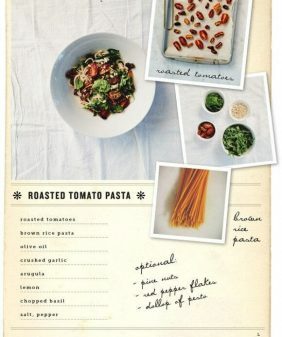 This looks delicious and a great way to use up late summer produce. I’m wondering – what are your thoughts on making it in advance? 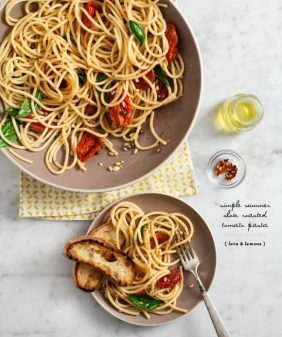 I started a new job and I’m looking for make-ahead lunch recipes. Thanks! Hi Sophie – I would just hold off slicing the avocado until you’re ready to eat (or at least slice it in the morning before you leave). 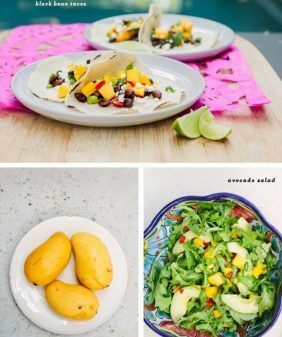 I came back to this recipe today because we are making it for dinner tonight!! I’m very excited about it. Sadly our garden tomatoes are not ready for us yet, so I will be cheating and buying some at the grocery store. 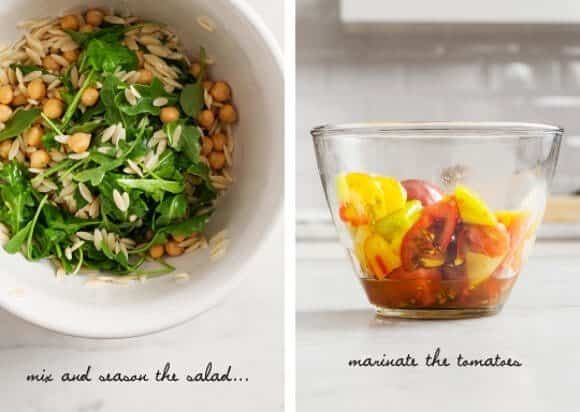 Side note – I love the glass bowl you’re using above to marinate the tomatoes. Do you mind sharing where you picked up that beauty? I’m trying to remember – I think I got it at Target (about a year ago). It was a set of 2 (this smaller one fits inside a larger one). If I see them somewhere I’ll send you a link. Thanks! I appreciate it. Also – this will be my first time cooking orzo, and I’m a little worried that I might overcook it or something. Am I overthinking this? I taste a few at the 7 minute mark, if it’s still crunchy I wait a little longer but I definitely pull it out al dente. But don’t overthink it – I’ve never really messed it up, even if I wasn’t watching carefully.